This is us – trio “The Tenors”. Any resemblance to other singing characters or formations is utterly impossible. In case you already had the chance to enjoy us in a live performance (as a matter of fact we always sing live), you will undoubtedly know that the professional, classical, Bulgarian trio “The Tenors” is unique. Critics say that we combine an exquisite image with perfect, romantic sound. We gathered on Kiril Iliev’s idea and initiative. He managed to blend the voices of three young and ambitious singers (Kiril Iliev – tenor, Alexander Gospodinov – tenor and Ilian Nedev – tenor) into a rich and colorful repertoire of classical, pop, Bulgarian pop, rock, jazz and ethno music. 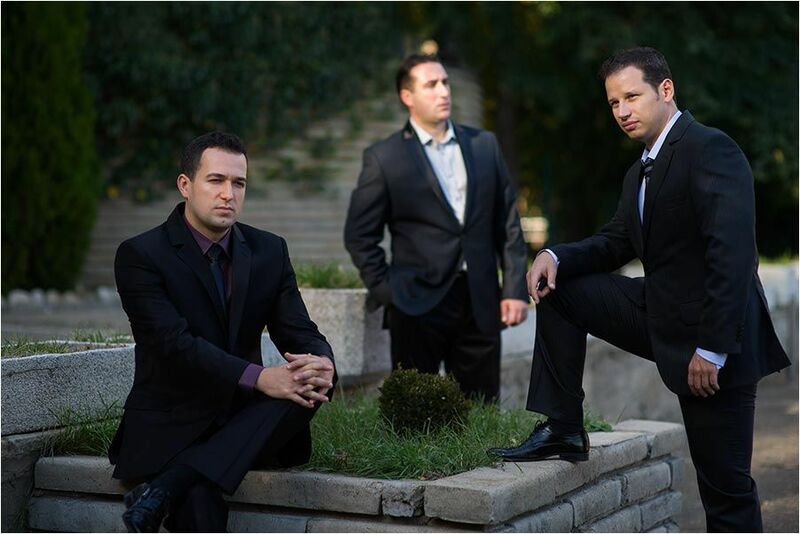 “The tenors” is a vocal trio that can leave a trail of glamour in your party, holiday celebration or any kind of meetings, happenings, ceremonies and personal occasions. We never compromise with the sound quality and the level of artistic interpretation! With our help, your holiday will turn into a celebration to remember!